Republicans have now had a decade to figure out a better approach to American healthcare but still haven’t come up with a single viable plan. 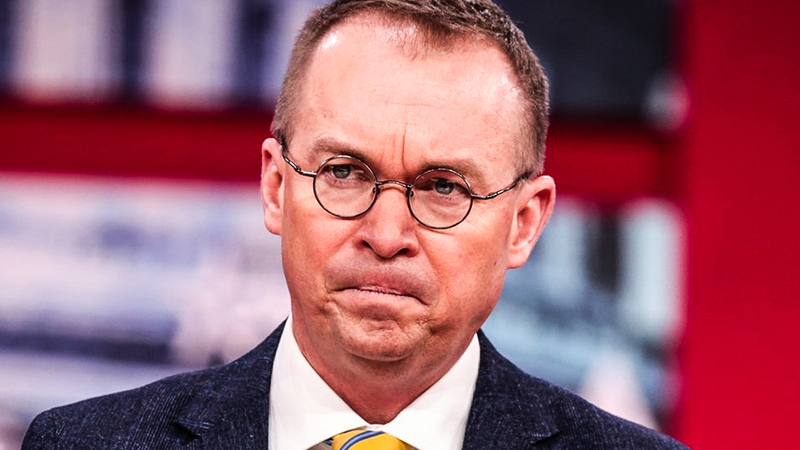 But don’t worry, Donald Trump’s acting Chief of Staff Mick Mulvaney swears that Republicans just had a super great meeting last weekend and they are so close to having a healthcare plan ready for the public. It’ll never happen, and even if it does, it’ll be a complete disaster for American citizens. Ring of Fire’s Farron Cousins discusses this. Last saturday, a group of Republicans met at Camp David where they did their best to spend about half a day trying to come up with a new health care plan for the United States. They spent about half a day working together thinking that they could come up with a healthcare plan just in a few short hours. Um, after the meeting, Mick Mulvaney, Donald Trump’s acting chief of staff told Fox News that, yeah, we’re uh, we’re very close. I mean, we’re going to be coming up with a plan very soon, so you just be ready for it. Fox News and all our Republicans because we’re totally, totally have something real that’s going to come out. Uh, let me read you the exact quote. I do think you’ll see a plan here fairly shortly. Republican’s have better ideas than Democrats. We should not be afraid to talk about that. We want to run on this. I W I wish there was more. I wish I could give you details of this awesome plan that’s so much better than the Democrats. Unfortunately, Mulvaney didn’t elaborate on any of that. He didn’t say exactly when. We’re going to get the plan, but just that it’s going to be so amazing that Republicans are totally running on this in 2020 and that only leads me back to the point I’ve been saying repeatedly for many, many months now. And that’s Republicans have had 10 years to come up with any kind of healthcare plan. Yes. And they’ve repeatedly failed to do show. I’m literally, you guys have been running on this issue since the 2010 midterms after Obamacare was actually passed. And even back in 2009 when it was being discussed and in debate and, and being drafted, and we had these conferences together, we had the town halls of it. We had meetings, we had everything you guys had nothing to say and nothing to offer except to tell us the Democrats are dumb. You’ve had a decade and you think you’re going to fix this issue by meeting at Camp David for a few hours on a lazy Saturday. No. Okay. Nobody in this country should trust any republican elected official on the issue of healthcare. Okay. After 10 years, you still don’t have a plan, but you swear that it’s coming just around the corner and even though you’re still talking about repealing Obamacare, you don’t have a replacement for it. Donald Trump said he wants to make the Republicans the party of healthcare, the party of preexisting conditions, and I don’t disagree with them on that because I do believe that the Republican Party has some kind of preexisting condition and I think that needs to be looked at and examined by mental health professionals. But aside from that, this party has no plans. Why? Because they are in the pocket of the very corporations who continue to screw us over on the issue of healthcare, hospital corporations, big Pharma, health insurance companies, Republicans get more money from these groups than Democrats do. Democrats still get a lot. Don’t get me wrong. That’s why we’ve got lots of Democrats who were saying, well, medicare for all, hold up. What about private insurance? There are pretty good. No, you’re just as dumb as the Republicans. Go ahead and switch sides of the aisle because that is a stupid idea. Health insurance companies have had 20 years to address the problem of runaway pricing. Republicans have had 10 years to come up with a better plan. Neither group has been able to do it. So stop trusting them on the issues. It’s time for Medicare for all. And it’s time for all Democrats to get on board with this. The private sector ain’t going to fix itself. They’ve proven that. And again, they’ve had 20 years since this problem exploded to change their ways and they failed. I think 20 years is long enough. You haven’t fixed it by then, you’re never going to fix it. We’re moving on without you. And we don’t care if we destroy your industry in the process. All your workers, your employees, they can come work for the Medicare, for all administration. We’ll give them jobs, no problem. We’ll need them. So that’s a great little transition and you get better benefits working for the government too. So I see no downside to that. There’s not going to be massive job losses because those people need to go work in the, uh, um, medicare administration to help administer this. The only people who are going to be out money or the CEOS, the greedy folks, the folks that have been making it their daily job to screw us all over. So yeah, to hell with you guys and to hell with Republicans who after 10 years of talking about a thing, still don’t know a thing about it.